CARRYS T4-R Baby Atomizer is featured with 2ml e-juice capacity tank with 25mm diameter and unique full resin appearance. It has convenient top filling design and bottom airflow for huge vapor. CARRYS T4-R Baby Atomizer is featured with 2ml e-juice capacity tank with 25mm diameter and unique full resin appearance. It adopts full resin material on drip tip and base for pure flavor and heat insulation, convenient top filling design for easy refill and adjustable bottom airflow for huge vapor. Together with unique U1 0.6ohm and U2 1.5ohm coil heads, T4-R Baby will bring you amazing vaping experience with large cloud and nice flavor. Resin color. 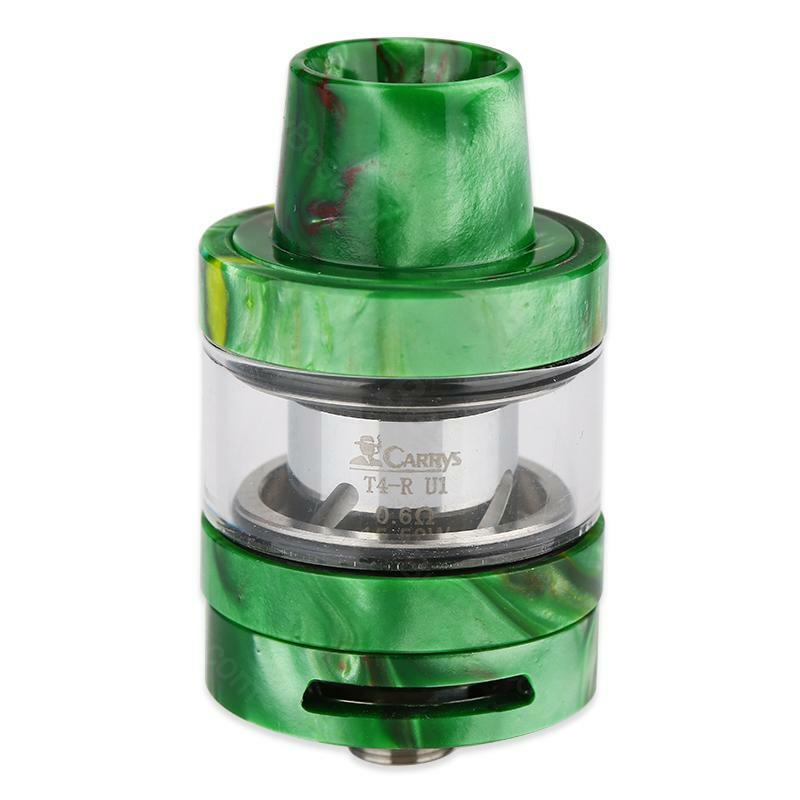 CARRYS T4-R Baby Resin Atomizer Tank is a 2ml capacity tank. CARRYS T4-R Baby is a unique full resin appearance atomizer with 25mm diameter and 2ml e-juice capacity.